Meghan Markle and Prince Harry's choice of royal wedding flowers was certainly grandiose, but there's one small detail that stole the show. 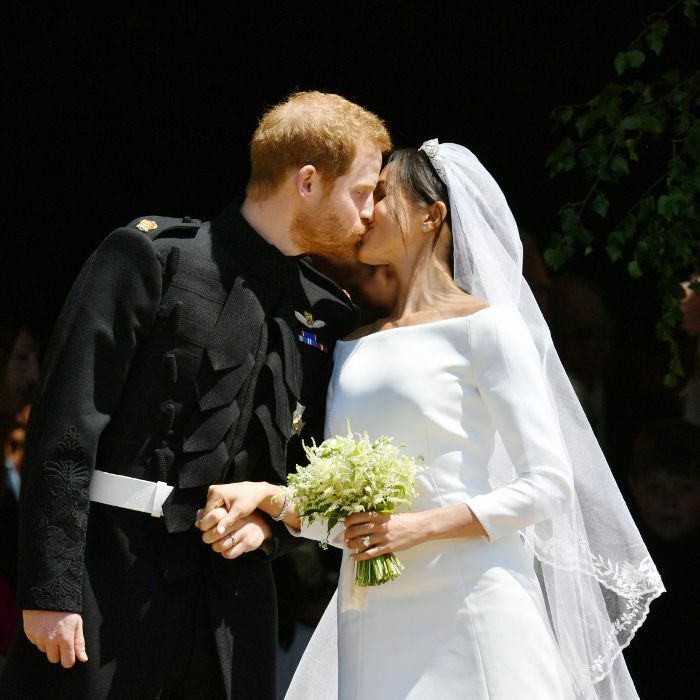 It turns out that Markle's small, modern wedding bouquet has a hidden meaning—and it's so romantic. The bride arrived at St. George's Chapel holding a modest bouquet containing sweet peas, lily of the valley, astilbe, and jasmine. Amid the blooms was a tiny sprig of myrtle, a longstanding tradition in the royal family that signifies love. "Though Meghan is breaking tradition in other areas, she is keeping strictly to the (unofficial) royal code when it comes to her bouquet," explains Bridebook UK. "The use of myrtle has been a tradition since Queen Victoria, with every royal bouquet since then using clippings from the myrtle tree Queen Victoria planted herself." Prince Harry was also very hands-on with the choice of flowers in the bouquet. "Prince Harry handpicked several flowers yesterday from their private garden at Kensington Palace to add to the bespoke bridal bouquet designed by florist Philippa Craddock," reads a statement by Kensington Palace. The couple chose to honor Harry's late mother, too. "The spring blooms include Forget-Me-Nots which were Diana, Princess of Wales’ favorite flower," the palace confirmed. "The couple specifically chose them to be included in Ms. Markle’s bouquet to honor the memory of the late Princess on this special day." What a subtle, beautiful way to remember Princess Diana. Have you seen Meghan Markle's royal wedding ring? It was surprisingly traditional.